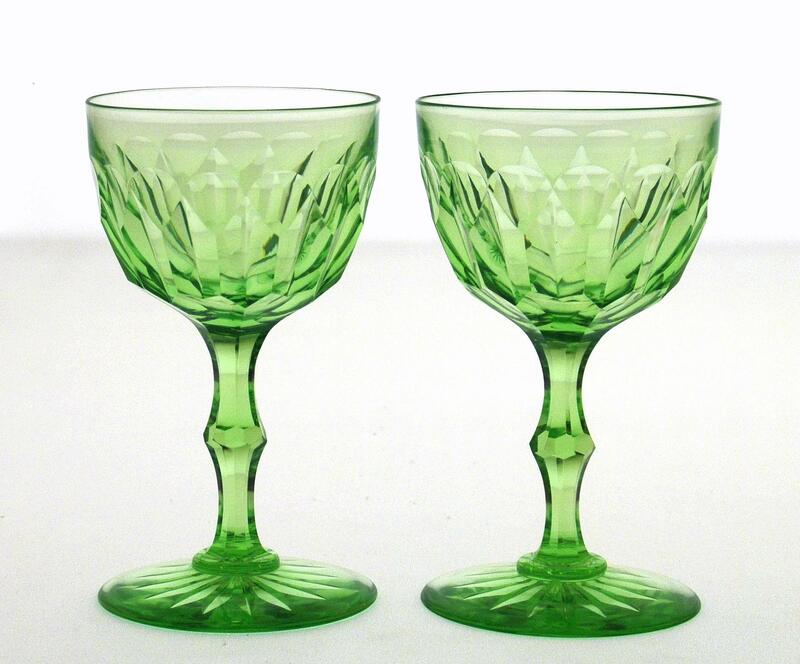 When viewed from some angles, these clarets appear to be a beautiful, soft green color whose intensity of color increases as the glass thickness increases. When you look straight into the bowl, the various miter cuts appear to charge from an intense green color to clear. The foot also can appear either an intense green color or clear. In fact, both the foot and the bowl are clear glass. It is a most unusual occurrence and we offer no explanation. Please let us know if you have knowledge regarding this phenomenon. The clarets are 4 7/8-inches tall and have a top diameter of 2 3/4-inches. 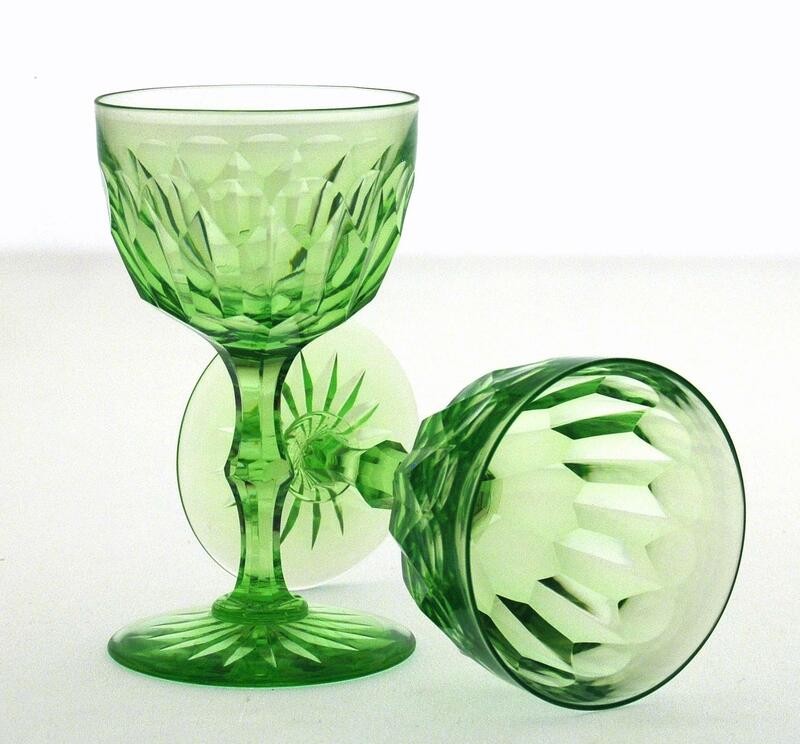 They are beautifully cut, wheel-polished and have a soft, silky feel when handled; the base has a 16-point radiant star. The quality of these stems is very high and the cutting — though apparently simple — was very difficult to effect. It is very difficult to determine whether the ‘chameleon-like’ optical effect was planned or ‘just happened.’ Regardless, these clarets are simply elegant! There is a very small chip on one of the top rims; otherwise, the clarets are in perfect condition. We have a set of four priced at $400 for the set. The single carets are priced at $100/each.